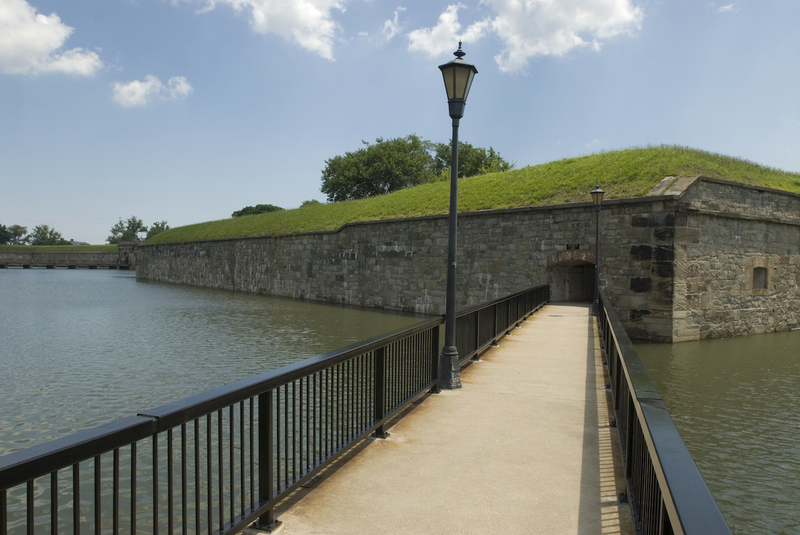 Completed in 1834 and named in honor of President James Monroe, Fort Monroe is recognized as the largest stone fort ever built in the United States. Nicknamed “Freedom’s Fortress,” this Union-held fortification provided a safe haven for hundreds of runaway slaves during the Civil War. It was also the site where the Army of the Potomac landed before beginning the march toward Richmond during the Peninsula Campaign. Fort Monroe became a National Monument on November 1, 2011, after more than 150 years as an active army post.